In order to provide you the best help possible to analyze and debug your problems please provide us some information about your environment. If you need to send a project, please use the "Export project" command (See the tutorial " How to send a Modelio project to a distant user "). If, for any reason, you cannot use this command, go to your workspace and zip the content of your project directory (not only the ofpx file). To share your project, you can use a file sharing service ( WeTransfer , 4shared , IDrive , MediaFire , ...). 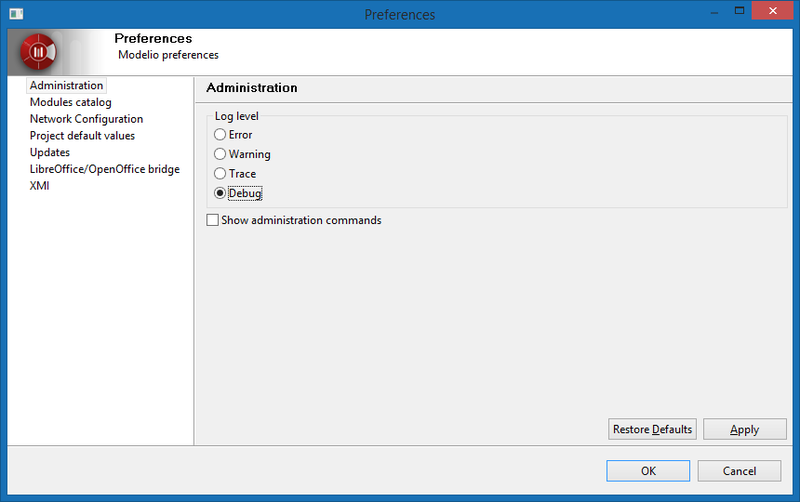 Modelio also provides a configurable log. You can configure it in the 'Configuration/Preferences' window. Last Edit: 8 months 1 week ago by pan.